But because of all of the above, I’ve also not felt 100% on track with my training. 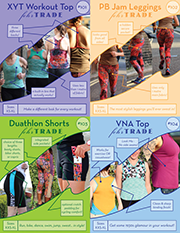 I’ve been fitting in four sessions a week, running a couple of hours at the weekend, running to and from Run dem Crew on Tuesdays (meaning I often cover 16km on a week night), but still in general I felt quite sluggish and slow. In other words, just not “race ready”. 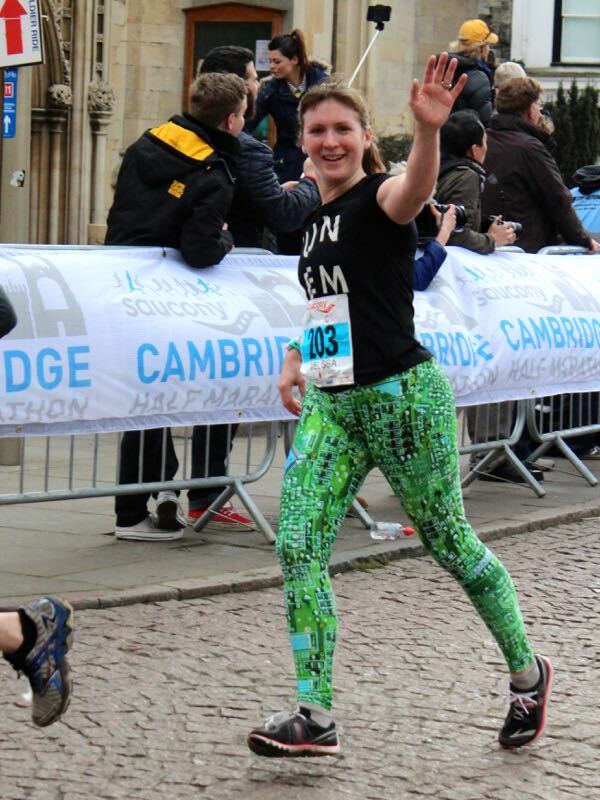 When I’d signed up to run Cambridge Half last year I was excited to get a coveted spot in a race that sells out within hours every year, thinking it might be a chance to try for a sub-1:30 finish and it’d save me a bit of money over a foreign race, too, since I’m saving my pennies for Argentina in August. But rail replacement services from London in the morning meant I’d nearly had to book a hotel, until an old work colleague stepped in and very kindly put us up for the night. Apart from having a great evening chatting with him and his wife, seeing Jupiter(!!) through his telescope, he has also run this race over the last few years and was able to give me some great local knowledge about the course, plus know exactly which car park would be empty on a Sunday morning for easy race access! We got to the start in plenty of time, and I even managed to run into Ben, the only other RDC member running it (as the vast majority of the Crew were running Paris half on the same day), and we trundled off to the fastest (sub 1:45) pen to get the last few shivers in before the gun. Even though it was super sunny and I’d worn a sacrificial sweatshirt until the last possible second, my hands and feet were completely numb and the first 3 miles felt like I was running on cloven hooves. I wouldn’t recommend this as a race approach, but it did help to slow me down and keep my pace in check for those crucial first few km where I tend to speed off into the abyss. 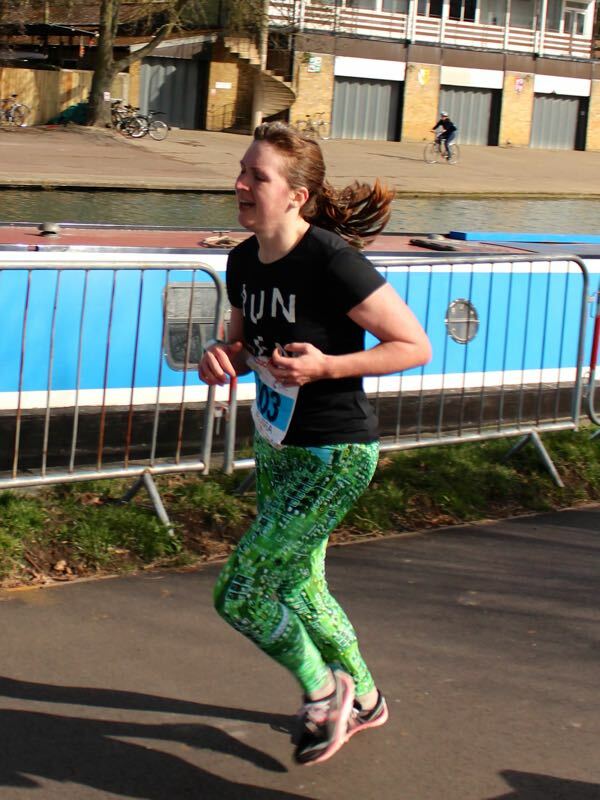 Since I wasn’t feeling anywhere near ready to attack my current PB (1:36 from Bath Half last year), I decided my approach would be to channel Berlin marathon and try to run a really well paced race instead, and just see how I felt. This was my first race running with my new Garmin watch (a topic for another day! ), so I made sure I kept my pace between 4:30 and 5:00min/km, but in general I tended to hover around the 4:40-4:45 mark. This was also the first race that I used Salt Stick capsules to try and minimise the dehydration I get in longer races, no matter how much water I take in. As a really salty sweater, taking these at about miles 5 and 9 really helped, no matter how dodgy I felt pulling a little dime bag with white pills from my leggings’ back pocket! 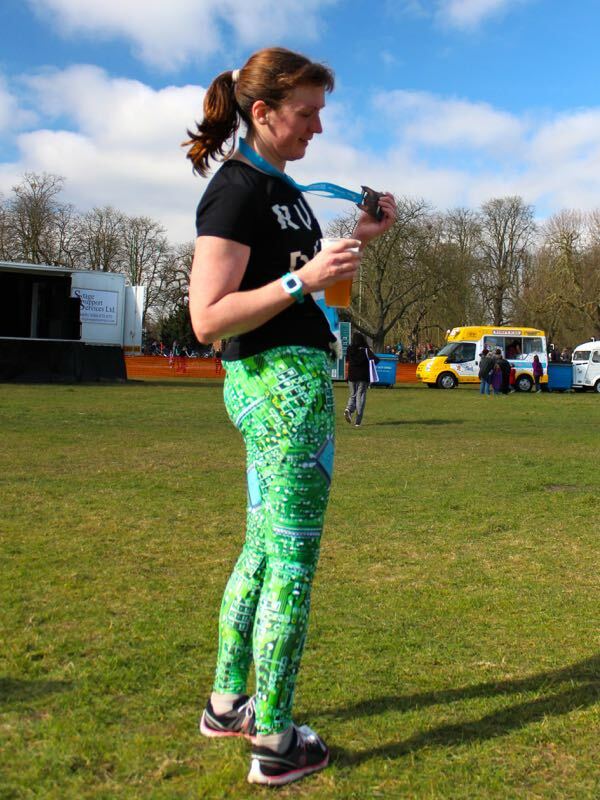 The course itself was really interesting, super flat, and with lots to look at en route – a plus since it was a no headphones race, which also worried me as I prefer to run with one earphone of music for speed sessions and I wasn’t sure how I’d cope. Instead I sang songs to myself in my head, mostly “Audition Day” by Oh Land and Beastie Boys’ “Intergalactic”! 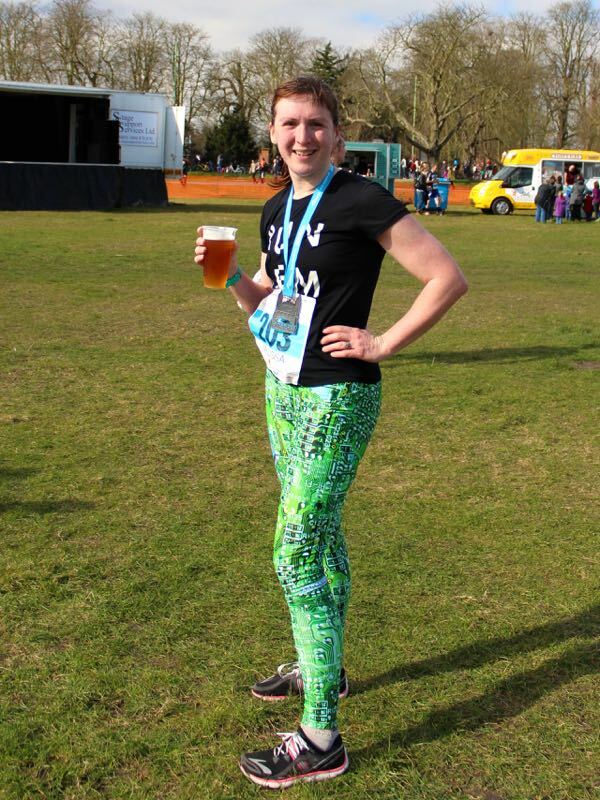 I’d made a new pair of running leggings especially to appeal to the boffins of Cambridge – my upcoming Steeplechase Leggings pattern (with no inseams!) 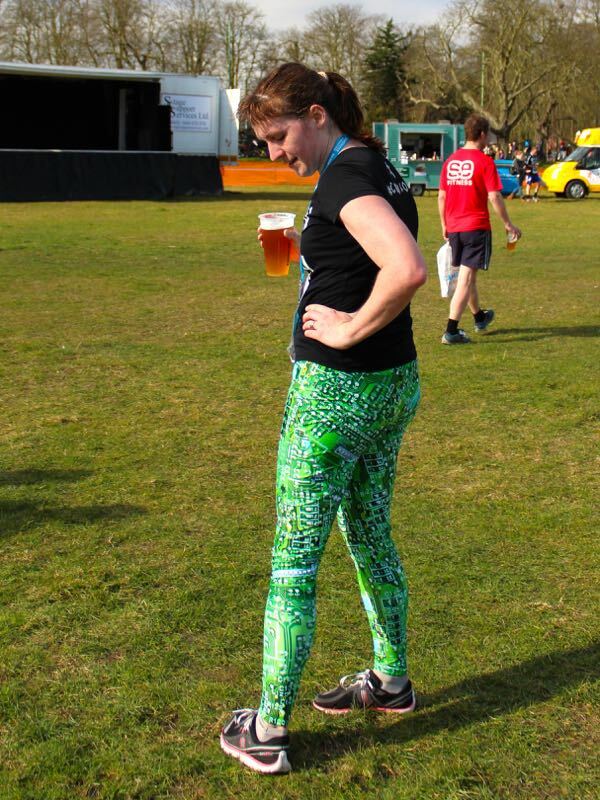 made with FunkiFabrics circuitboard printed lycra, which got lots of compliments on the course, both from spectators and other runners. There were a few little bridges to cross, some narrow winding streets, but lots of crowd support in clusters, which is how I prefer it, really. It was a two lap course, which I’ve found I really like, as I have a much better sense of where I am and how far I have to go on the second lap around when I tend to flag a bit. But thanks to my pacing strategy, once I hit Mile 10 I was still feeling pretty good so I made the conscious decision to ramp up my pace a bit and try to target 4:30min/km, and I’m pleased to say that you can see this in my Strava pace analysis! …only to discover that the finishing “straight” twisted and turned, took us around the perimeter of the park, turned again, and then approached the finish line from the opposite side! So my finishing sprint lasted an agonizing amount of time – 4 minutes, which means it was probably closer to a kilometer in length than the 200m I was expecting! So I didn’t manage a PB, but considering I didn’t think I was anywhere near capable of achieving it, it’s no big loss anyway. 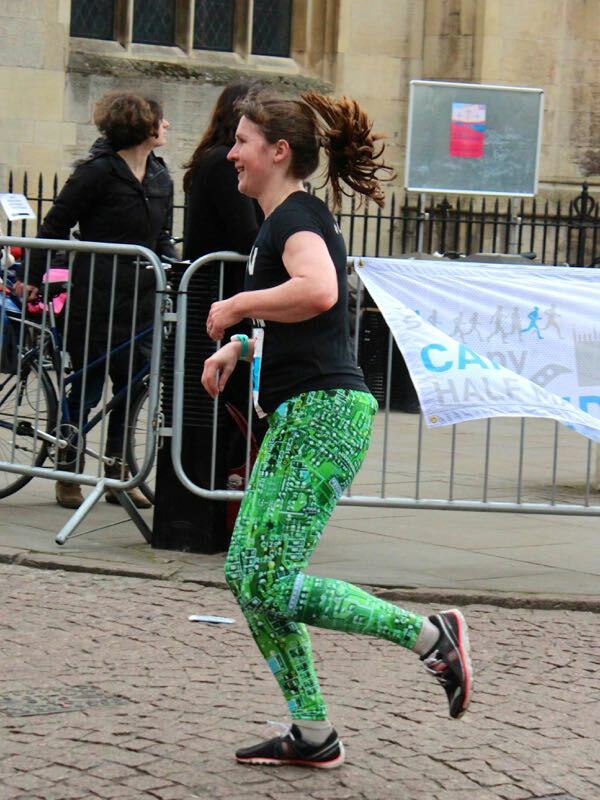 I learned in Cambridge that I am way stronger, both physically and mentally, than I thought I was right now, and I’m feeling much better about running London marathon in a few weeks because of it. Perhaps burning the candle at every conceivable end is great endurance running training somehow? 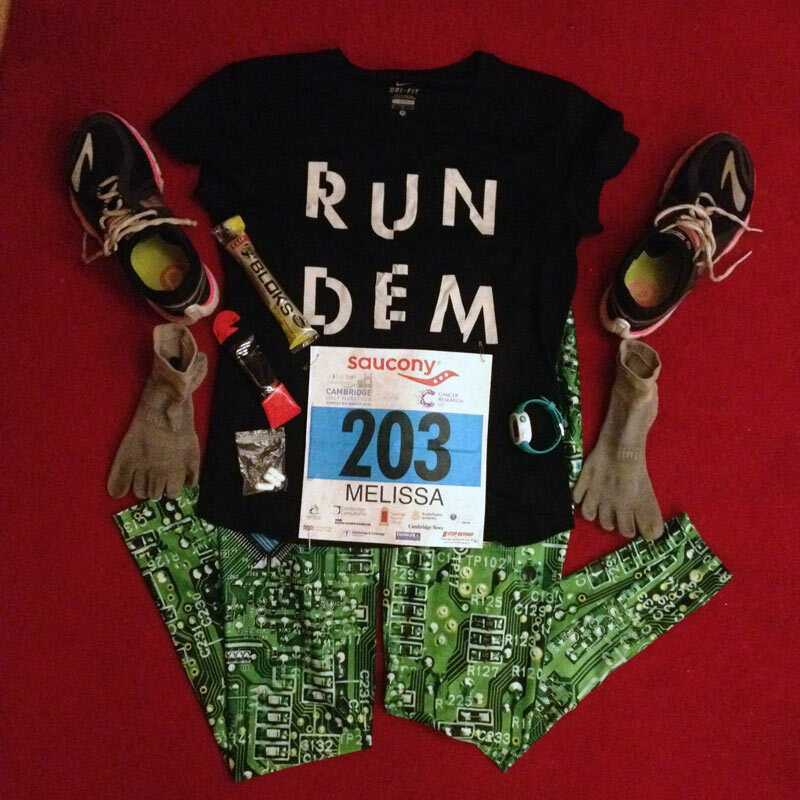 Wow, sounds like you really proved yourself wrong and are well placed for a strong marathon. Way to go, Melissa! Inspiring – as always!! Looks like you had good weather for it too. Well done!! ( and you have struck fear into my very core with the sentence ‘london, just a few weeks to go’!!! !